This Scholarship was established in Krit’s memory by her loving family and friends. In September 2008, we lost a shining example of all that is good in the world. 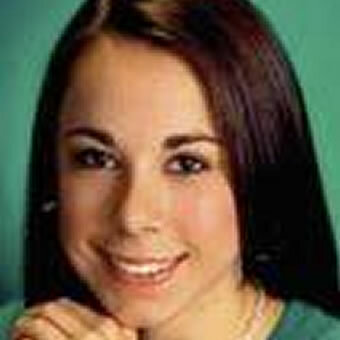 Andover High School graduate, class of 2000, Kristin “Krit” Kearins, died tragically in a bicycle accident in Boston. She will be remembered for her heart of gold and her infectious enthusiasm for life. Krit worked in the Emergency Department at Children’s Hospital while pursing a career in Nursing. She was known for her amazing ability to communicate with her young patients, even in the most trying of circumstances. 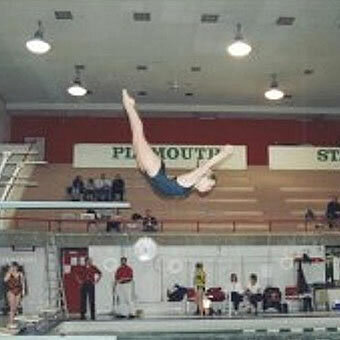 Krit was a top diver and gymnast at Andover High. In 1999 she helped lead the AHS Diving team to its first State Championship title. A year later, with her help, the AHS Gymnastics team captured its first state Championship title. As captain of both teams during her senior year, Krit was an amazing role model and leader. She always worked hard, whether on the diving board or the mat, and while she had a competitive streak, she knew the importance of having fun. 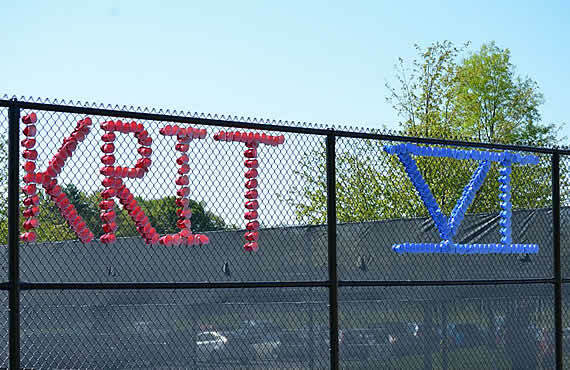 The Scholarship Committee will be looking for recipients who show the passion and heart that Krit was known for during her 4 years as an athlete at Andover High. 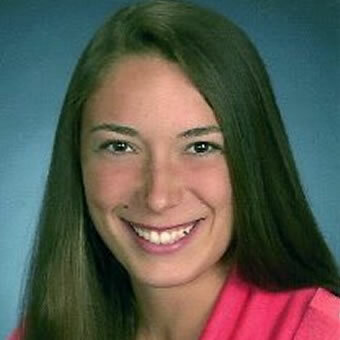 The Kristin Kearins Memorial Scholarship is awarded annually. The applicant must be a student in good academic standing who plans to further his/her education upon graduation. The scholarship will be awarded to a senior student athlete who exhibits superior sportsmanship and team spirit in the sports of swimming/diving and or gymnastics. Zac is one of our 2018 scholarship recipients. He possesses an incredible amount of self-determination to be successful. 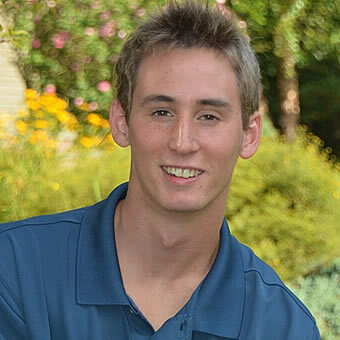 He is a talented swimmer, who was selected to be a captain of his team. He is a great role-model, and is very modest despite his exceptional talent. Outside of the pool, he is a strong student and kind young person with a lot of heart. Zac will attend Connecticut College in the fall. Kat is our 2nd 2018 scholarship recipient. She will attend Norwich University in the fall. Focused, conscientious, and empathetic with an incredible work ethic, Kat is more than ready for the next phase of her life to begin. She also happens to be one of the nicest, most inclusive students at AHS who strives to help others in her school and the greater community. To that end, she has been a member of Amnesty International and dedicated volunteer for Project Home Again. Kat has also been an active member of the AHS swim team and has served as both a lifeguard and swim instructor. Moreover, she is well-respected by her peers and her teachers as she prides herself on completing assignments on time, participating fully in class discussions, and volunteering to lead group projects. Kat’s compassion, resolve, and sense of purpose will serve her well as she continues on her journey to become a nurse next year. Rachel scholastically has been an honor student for all 4 years at Andover High School. She was part of the Andover High School swim team that won 3 state championships during her high school career. She was also named MVC all conference all star all 4 years and named to the Boston Globe and Boston Herald all scholastic teams. Rachel also swims year round for Phoenix swimming. Rachel's passion is mentoring, developing and caring for children. She currently cares for many different children and will continue to do this throughout the summer along with being a swim instructor. Next year Rachel will attend Fairfield University and pursue a nursing career while continuing to swim . Her desire is to become a pediatric nurse so she can continue to work with children. 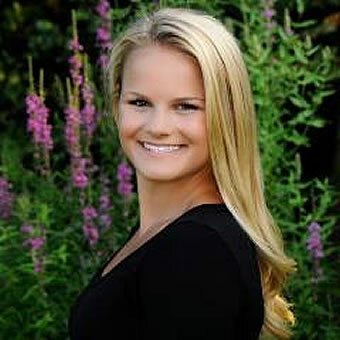 Jenna was a 4 year member of the Andover Girls Swim and Dive team and Captain her Senior year. Jenna will be attending the U.S. Coast Guard Academy and intends to pursue a career as an officer in the US Coast Guard. While at the academy, Jenna will compete for the “Bears” as she continues swimming as a member of the USCGA Women’s Swim and Dive team. 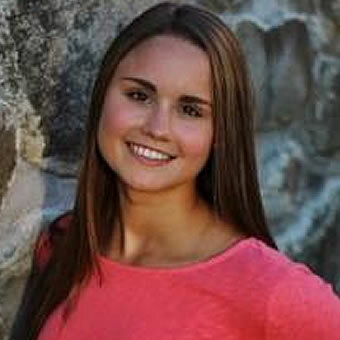 Jenna was an accomplished honors student at Andover High School and supportive member of Warrior Way. 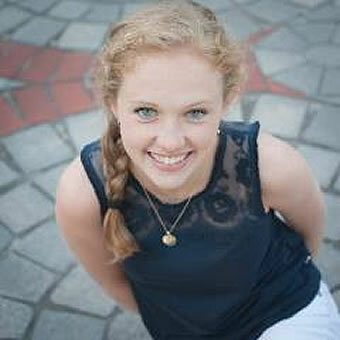 Outside of school Jenna enjoys traveling, hiking and spending time with her friends and family. 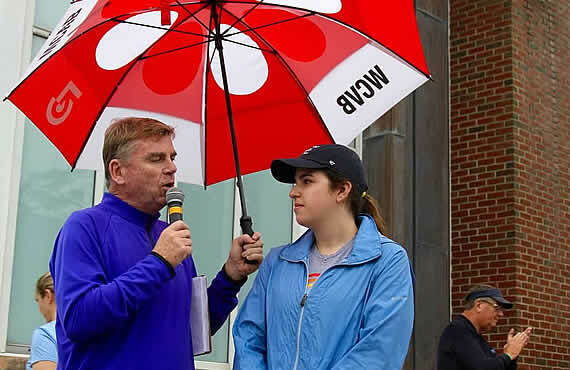 She has been a lifeguard, swim instructor and swim team coach at The Andover Country Club for the past several summers as well as a member and coach of Crimson Aquatics. Jenna is so honored to be among the many great women recipients of this beautiful scholarship in memory of Krit. Caitlyn is our 9th scholarship recipient! 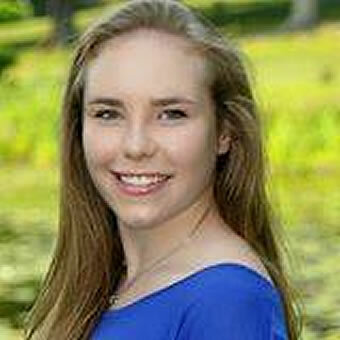 She was a member of the Andover High School’s Swim & Dive team and captain her senior year, leading the team to their 15th Mass State Championship. She was also a member of the track team. Caitlyn will complete her freshman year at Endicott College this spring, with studies in visual arts and a major in interior design.This past school year she had the opportunity to intern at Acorn Home and Design Center in Andover, gaining valuable job experience.She was also accepted into the Honors program this spring and is looking forward to beginning honors seminar courses in the upcoming fall semester. This summer she will begin interning at CBI Consulting Inc. in Boston. Maggie is our 8th recipient. Her sophomore year at Ithaca College was full of many new experiences and great success. She continued her studies in the business school while competing for Ithaca's gymnastics team. She contributed to the team’s success on both vault and floor, setting personal career highs on vault and being a part of a record breaking season for the bombers. She has also completed her first year as a member of Ithaca's leadership academy. The academy consists of a select group of student athletes. They learn what it means to be a leader and how to apply leadership within our teams. Maggie will be studying abroad throughout May and June this summer in Florence, Italy. Sophia, our 7th recipient has currently finished up her second semester at Middlebury College as a neuroscience major and global health minor.She continued diving last fall, and currently training for a half marathon this spring. This summer, she will be traveling to Northern Ghana to work for an NGO called Saha Global implementing water purification systems in rural villages. 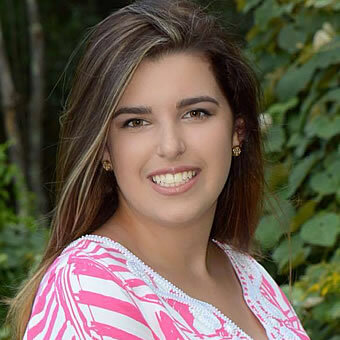 After Sophia returns, she is planning on working in Burlington VT Next fall semester, Sophia will also be studying abroad in Cairns, Australia and learning to scuba dive. Sophia will attend Middlebury College in Vermont next fall. She plans to study biology and environmental science, and was recruited as a diver for the Panthers. Jessie, our sixth recipient, has recently finished her junior year at Michigan State University. She is an elementary education major, adding the minor TESOL (Teaching English to Speakers of Other Languages)working one on one with students in the class well. 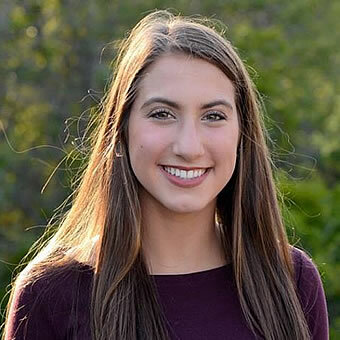 Jessie also worked as the manager of the varsity gymnastics team, traveling all over this spring semester, including Rutgers, Iowa, Illinois and Penn State. In the fall semester Jessie earned a 4.0 GPA She will be continuing her studies, staying in Australia - Melbourne, Sydney and Cairns. In Sydney she is excited to be training to surf. After spending five weeks in Australia,Jessie will be extending her trip and flying over to New Zealand. Once back from study abroad Jessie plans to spend the remainder of the summer with friends and family before heading back to Michigan State in late August. 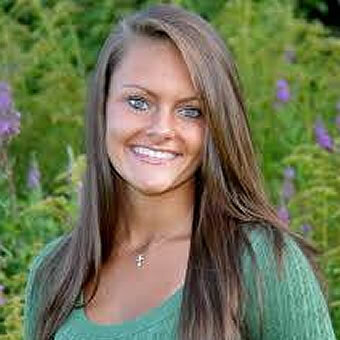 MacKenzie, our fifth recipient, will be graduating from the nursing program at Endicott this spring. She had a community health clinical in Gloucester Public Schools working with school nurses. and was at Holy Family Hospital and Lawrence General Hospital in their ICU's. She also had an internship at Mass General Hospital on Lunder 8 which has been an honor to be a part of. Mackenzie went with friends to to Punta Cana on spring break - a welcome down time for her. After graduation Mackenzie will be moving back to Andover with her mother and brother. She is taking the NCLEX exam to get her nursing license and is currently looking for job opportunities in this area. Mackenzie is looking forward to becoming a nurse. The fourth recipient of the Kristin Kearins Memorial Scholarship was Courtney Stone. 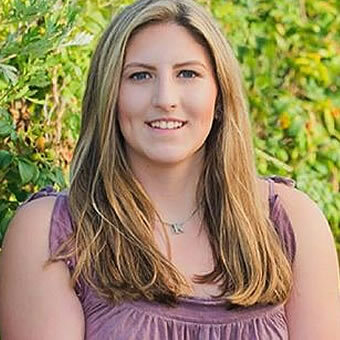 Courtney was a tri-captain of the 2011 – 2012 AHS Lady Warriors Swim and Dive State Championship team. She graduated last May of 2016 from Bentley University with a degree in accounting. Courtney was a lifeguard, active participant in the community service-learning program and a member of the academic honors Dean’s list at the university. 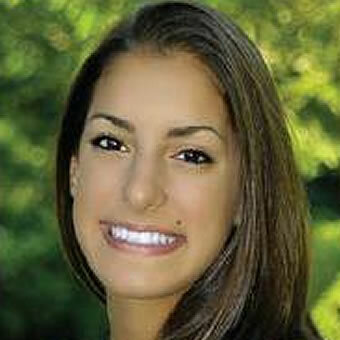 She was also a diver on the Bentley University Swimming and Diving team. 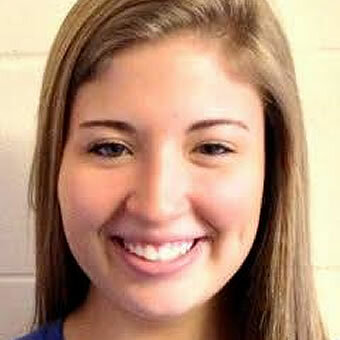 She is a two-time qualifier for the NCAA Division II Swimming and Diving Championships. This summer she will attend graduate school to receive her masters and begin to study for the CPA exams. She will also be training for her first half-marathon this summer. In September she will start her career in audit at Wolf & Company, P.C. in Boston. On May 5, 2017, Kanella graduated from Northeastern University with her Masters in Science degree in Speech-Language Pathology. She has proudly accepted a Clinical Fellowship position at the VA Medical Center in Boston; where she will be providing treatment to our country's veterans suffering from brain injuries, degenerative diseases etc, in acute care and acute rehabilitation. Kanella is excited to relax and travel this summer; and especially looking forward to an adventurous family trip to Central America! Kayla, our second recipient, is in her second year as an Oncology Nurse at Mass General Hospital. She recently finished her certification to be a chemo certified nurse as well. Kayla is looking forward to this summer where she will spend a lot of time outdoors. Between the beach, hiking, running, biking, etc. - you will find her in the sunshine! Leah, our first recipient, has been living in Columbus, GA with her husband for the past year who is stationed at Fort Benning in the Army and plans to be there until about Christmas time when he will leave the Army. Leah is hoping to move back north. She is currently working at a yoga/fitness studio doing desk and admin work with the advantage of taking free classes. She is also working remotely as the Marketing and Promotions manager for her mother’s new secondhand furniture store located in Salem, NH called Just the Right Piece, which opened last July. She runs all the social media pages as well as creating advertisements, banners, etc. As for travel plans, Leah will finally take a belated honeymoon this summer, doing a Mediterranean cruise for a week in addition to road tripping from Barcelona through Southern France. Thank you all for joining us for 10 years of celebrating Krit! !